A new survey by PlusNet claims one in 10 of us use laptops on the toilet. 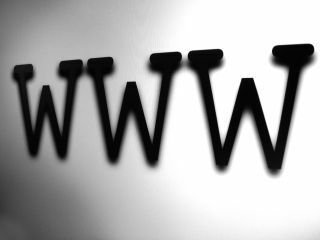 "10 per cent of web browsers have logged on to their laptops during visits to the toilet, either at home or at work," says the survey by leading ISP, PlusNet. "I wouldn't go in with a specific activity in mind, but I would sometimes take it in with me if I was listening to iTunes, for example," said one TechRadar staffer today, who wished to remain nameless (Marc). In other not-very-surprising survey news, 35 per cent admitted going online while in bed, the most popular place to surf was the lounge (40 per cent), while only 20 per cent chose the study. Neil Armstrong, PlusNet Products Director, said: "The explosion of Wi-Fi broadband allows them to do that – although we wouldn't recommend people taking their laptops into the bath or shower!" Phew! Thanks for that handy tip there Neil. We could have done ourselves a damage had we not been warned off Wi-Fi-ing in the bath. The point of all this survey nonsense? To plug the fact that PlusNet are following competitors such as Virgin Media in offering customers a free wireless router.